To say that Jury and Morio were not the finest foot soldiers in the Nord Lord’s dreaded Legion would be an understatement of epic proportions. And yet they were given a plum assignment — to take a special cargo by ox cart to the Governor’s secret retreat, Grimhaven. They’d heard it was a place of wonder, a palace with spires that rose to the sky and fountains that flowed with sweet red wine. So neither one could wait to see it. “It’s said there are gardens beyond your wildest dreams,” chirped Jury, who steered the oxen. They came to a great stone arch and passed under it, leaving the highway to follow a winding road that climbed through a wood to a wide plateau where something used to be. Now it was barren except for a gash in the ground where the long lane seemed to continue. 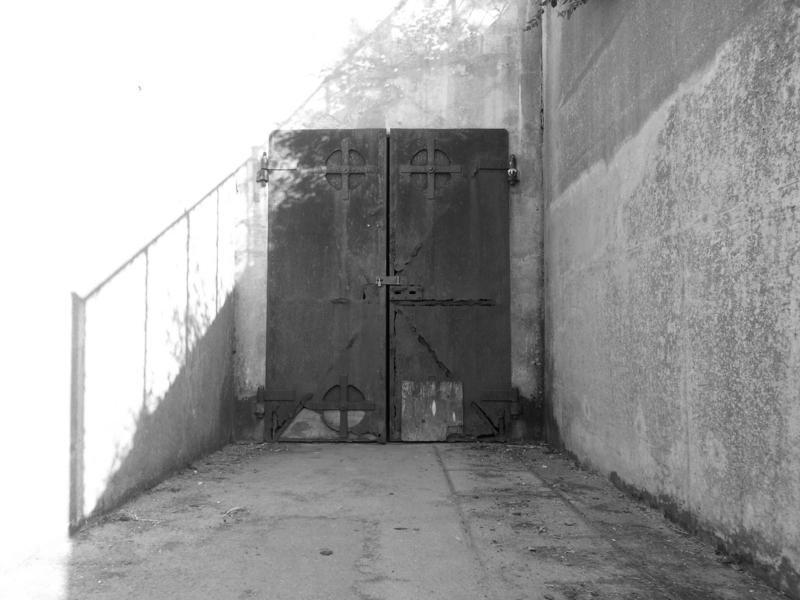 So they headed down below deep into the shadows and stopped at two huge doors. Jury knocked three times. The doors opened. Just then the doors slammed shut behind them. Morio shrugged, “I’m sure there’s an explanation… Ah! Here’s someone now.” And he waved to the tall cloaked figure gliding toward them. “Where should we unload?” The figure howled and pointed down the road. “Much obliged,” Jury shuddered. The ox cart creaked up a rocky slope that was strewn with bones and shards of brimstone. It made for a bumpy ride, upsetting their cargo, which thumped around behind. But they crested the hill nonetheless to discover a freshly plowed farm field ready for sowing. Somehow the same dark figure awaited them there. “Plant here!” it shrieked like a banshee. “Plant them!” ordered the angry wraith. Jury and Morio had no choice. They ran for an adjacent sea of beanstalks, which stretched back toward the giant doors. But what really lurked there was a sight beyond their wildest nightmares. “These aren’t peapods, are they,” Morio stared. “No, man, they’re pods of men… warriors by the looks of them,” blinked Jury, inspecting a big ripe pair. Just then a hand poked out of the closest husk and clawed at the dumbstruck chums. They didn’t look back as they raced for the exit but Grimhaven’s bloody reign had come.